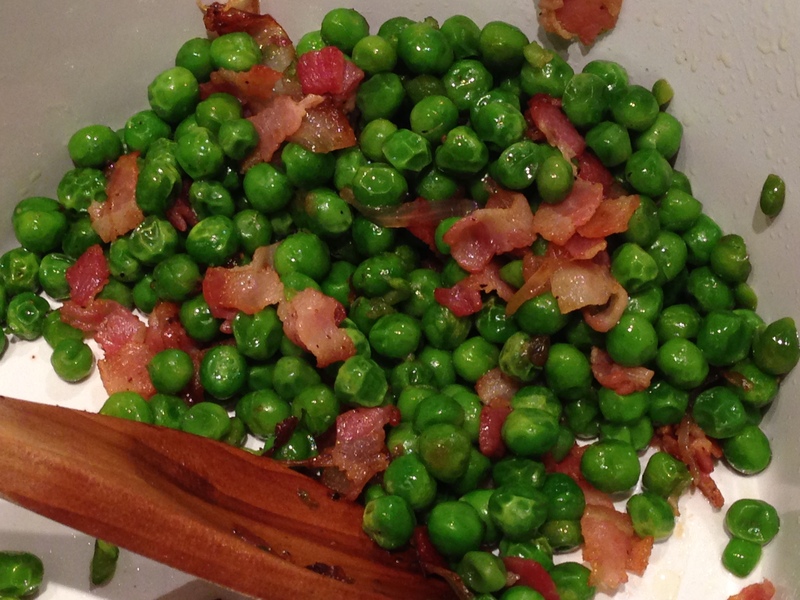 It’s not easy making frozen vegetables taste delicious, but with the help of a little bacon and some shallots, frozen peas are transformed into a quick and easy side dish that everyone will want seconds of. Heat the olive oil in a medium (10-inch) sauté pan. Add the bacon and shallot, and cook over medium heat for 5 to 7 minutes, stirring occasionally, until the bacon is browned and the shallot is tender. Add the frozen peas, 1 teaspoon of salt, and 1/4 teaspoon of pepper, and cook over medium-low heat for 4 to 5 minutes, until the peas are hot. Taste for seasonings, and serve.